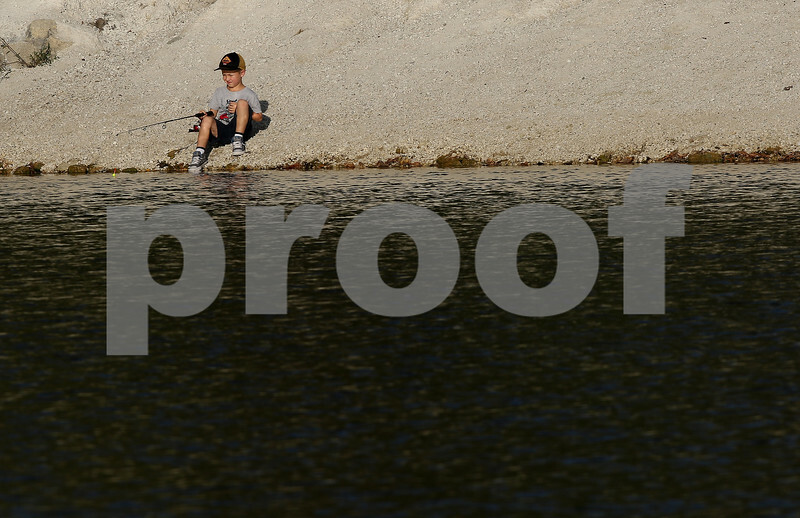 Will Olson, 6, sits on the shore fishing with his father and brothers on Monday, Oct. 9, 2017 at Sycamore Rotary Park Lake in Sycamore. "It's enjoyable," his father Mike said, adding "the weather is exceptionally nice. It's a teaching lesson, something to cross off our boy scouts tasks." He laughed when asked about the nightcrawler bait he was using. "It's something I taught them when we first started fishing in Wisconsin, to bait their own hooks."